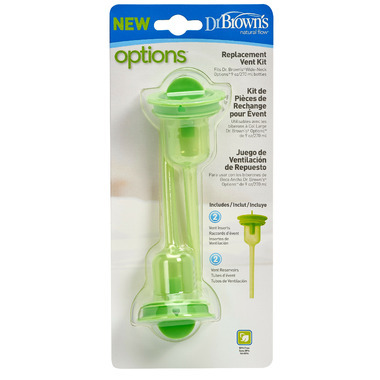 This kit can replace worn or lost reservoirs for all 8oz Options Narrow Dr. Brown's baby bottles. It is also BPA free! It is recommended to use the vent system to experience all the health benefits of our bottle. Some moms and dads find removing the vent a convenient option as their baby's feeding becomes more developed. 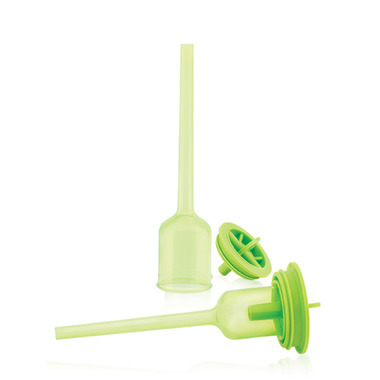 Thank god these replacement pieces exist, because after a few months of use (not even putting these pieces in the dishwasher), the bottles start leaking. The round vent piece seems to get less rigid and ends up not making a good seal with the bottle. New replacement pieces fix the issue. Even better would be if Dr Brown's would make a bottle that didn't eventually end up leaking! Love dr. Brown products. Replacements are always needed.